I'm a young 58 yr. old (most people think I'm mid 40's with a 35 year old body). Very active in running, lifting,sports and outdoors my whole life. Attractive,muscular,athletic. 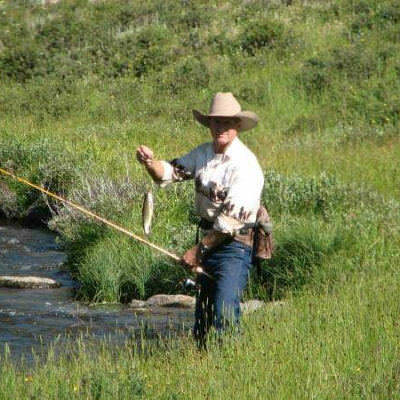 Spend much time in the outdoors camping, fishing etc. I'm honest, have values and ethics. High school math/science teacher. Live in the mountains and it would be awesome to find an attractive, active lady who enjoys the outdoors as much as I do for a possible serious relationship. Let's just talk at first and take it from there; maybe coffee or a nice dinner. *Walking along a beautiful mountain river With someone special. *Dancing with a lady to some really good live music. Live the rest of my life active, vigorus and enjoy all I can of each day. Looking for a friendly,kind,attractive,active lady. Prefer slim and fit or built nicely under 5'8". Enjoys outdoor activities especially camping, hiking but also dress up and go out dancing. Probably go to a nice restraunt where we can get to know each other. Then live music; dance or just listen and talk.